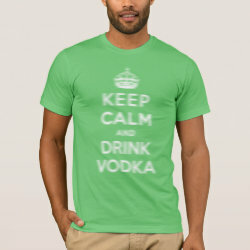 Is this design a bit blurry or did you drink too much vodka? 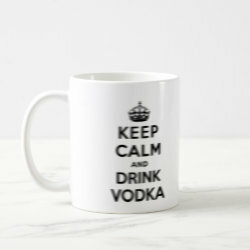 It's hard to tell, really. 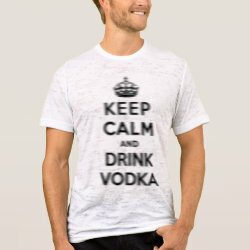 This parody design has the text Keep More... Calm and Drink Vodka. 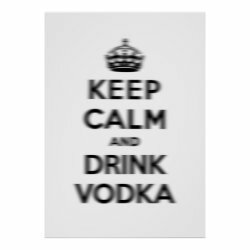 It's a spoof of the original Keep Calm and Carry On motivational posters produced by the British government. 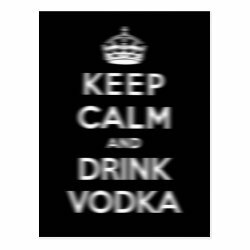 We like this advice much better! 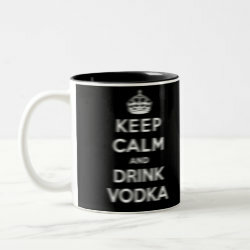 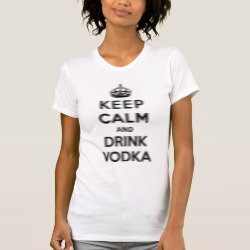 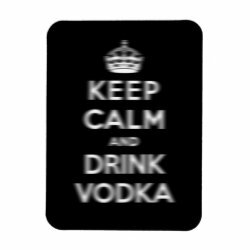 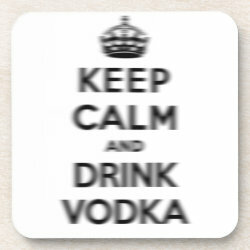 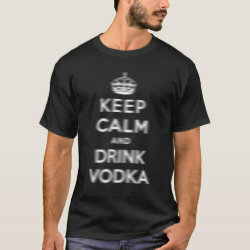 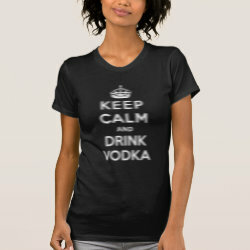 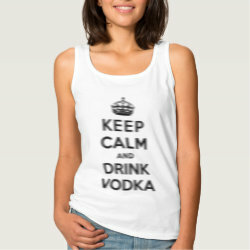 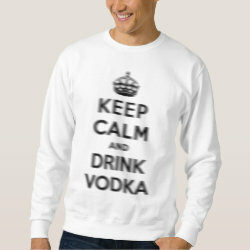 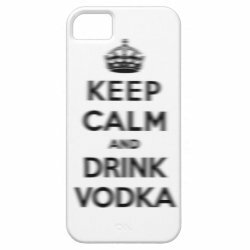 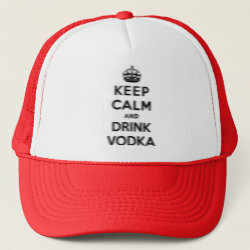 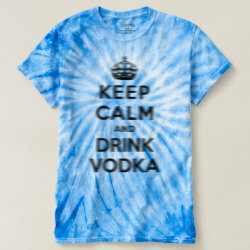 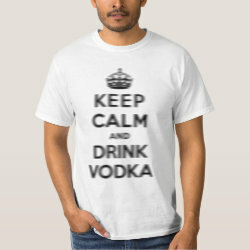 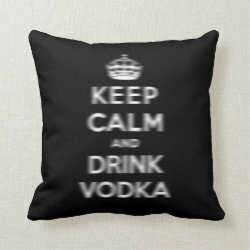 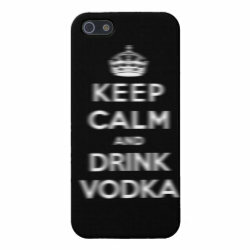 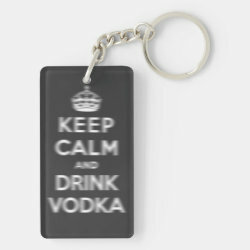 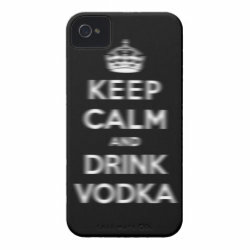 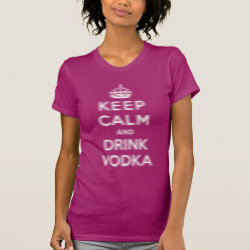 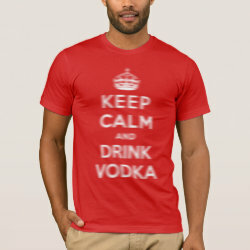 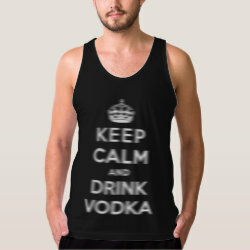 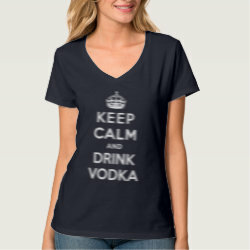 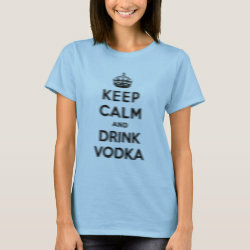 Show your love for vodka with these customizable Keep Calm and Drink Vodka products from Zazzle.com. 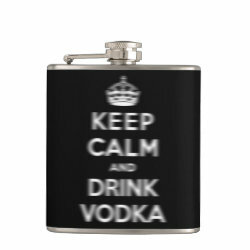 Keep Calm and Drink Vodka Vinyl Wrapped Flask, 6 oz.